Tajweed Quran - Khalaf Reading - 7"x9"
This complete Colour Coded Tajweed Quran comes with a nice and beautiful hard cover. Interpretation of selected words is placed on the margin of each page. 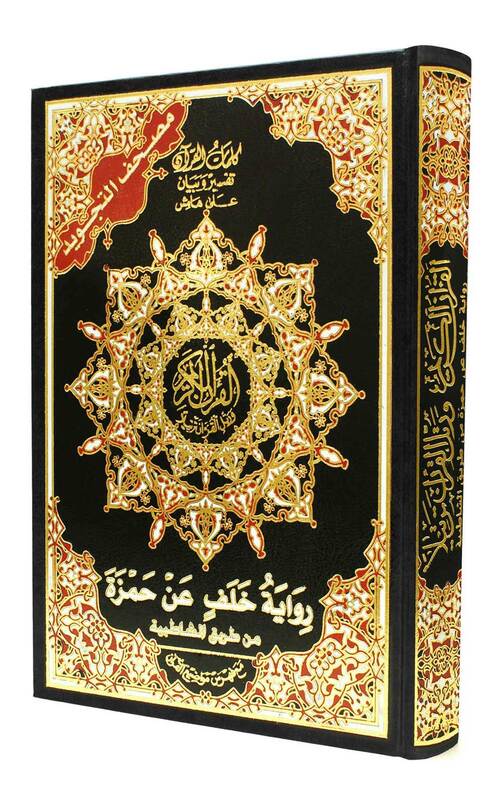 This Tajweed Quran is in Khalaf narration. Very good customer service, quality Qurans, excellent. Thank you for offering this reading in the same size of the ordinary Quran,,Very pleased with it..